Stagnant Water…Making Waves…or Gentle Ripples? The end of December seems the perfect time to turn more self-reflective. Nearly every year I’m one of what feels like a majority who take a look at the day to day reality while strategizing or scheming the changes necessary to impact their life in positive ways. Goals, resolutions, or self-improvement plans—whatever we call them, they tend to present themselves at this time of year, and we make decisions about how we will respond to the idea of proposed change. I think it’s good to take inventory at some time of the year, though I’m not stuck on January 1 as a critical date. As I reflect on my life, I’m sensitive to something that maybe I’ve glossed over more recently. As I explore it, I hope you’ll bear with me. Maybe we’ll discover something unique and useful as we go. I was thinking about water. Not surprising, I know. Think about the different kinds of water with me. Water can be completely still, stagnant. It can be in strong, forceful motion, white-capped waves. There’s something between those two that has always been the topic of this blog–gentle motion as the result of an impact, ripples. Spiritually speaking, I hope I am never in the stagnant water category for long. Not to be confused with periods of rest, times of slowing down or seeking direction, stagnation is an eventual standstill leading to something foul. The closest thing in Scripture related to stagnant water is the “sluggard” (Proverbs 6:6,9; 10:26; 13:4; 19:24; 20:4; 26:14). Over and over, we are warned about complacency and laziness. Our stagnant condition, if or when we find ourselves in it, can be our responsibility to a certain extent. We absolutely must be active. This stagnant condition is detrimental. I’ve experienced it, and it was a tearful wake up call—a wake up call I hope happens whenever I might settle into this state. The other extreme that came to mind was the strong, forceful motion of white-capped waves. So much is going on with this water. It’s in motion, impacts everything it touches, and can be heard a long way off. Captivating, exciting, and maybe overwhelming—waves can be so impressive! Who doesn’t dream about riding one, waiting for one to crash near on the beach, or stand watching, awestruck? 1. a disturbance on the surface of a liquid body, as the sea or a lake, in the form of a moving ridge or swell. n.
Dictionary.com listed more than a dozen definitions of wave on the site, so I picked the two that made the most sense for this context. A disturbance on the surface, a swell, back and forth or up and down movement. There is untamed power in the white-capped wave’s crash on the beach, or maybe something soothing in the repeated lapping at the sand. But the motion is consistent. Forward and back. Forward and back. Powerful advance…followed by retreat. I don’t want to be known for that kind of life. I want to be known for a life that moves forward, not back; one that progresses and matures, not that languishes and dies. The only retreat I want to be known for is something like Luke 9:10. No, I’ll take the little ripple. The beauty of it is that there is a specific cause and effect. In my case, it’s Truth causing a disturbance in the surface at it hits. It doesn’t seem like a lot of power, but it travels outward, impacting the water in every direction. Truth advances outside of my small world, and it’s a matter of simple hearing and living according to the truth I know—sometimes sharing with words. 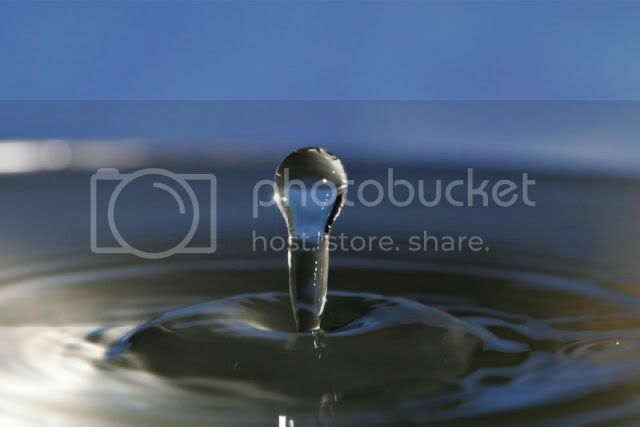 Share this splash and ripple it! 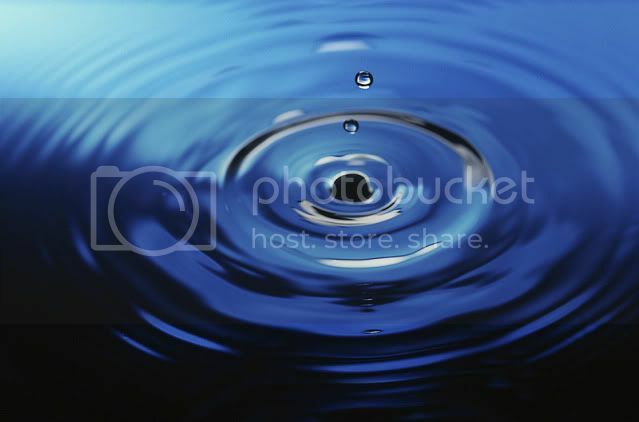 A single, pure droplet of truth in calm water has an ever-expanding sphere of influence in each ripple it makes. Enter your email address to subscribe to this blog and receive notifications of new splashes by email.